Root canal therapy is often mistakenly perceived as a painful procedure. For this reason, root canal treatments are among the most feared procedures offered at dental offices. 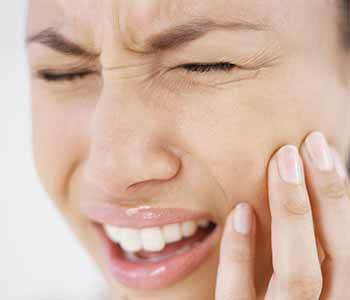 The reality is any pain associated with root canal therapy stems from the condition before it is treated. Still, where you get your treatment matters. When searching for “root canal treatment near me in Oakville ON,” you’re in the fortunate position to have a founding member of the World Congress on Minimally Invasive Dentistry, Dr. Stephen Gaines, as a local office. A true practitioner of the MID model, Dr. Gaines and the entire Sherwood Dental team combine efficient technologies and gentle, conservative techniques for comfort and minimal risk. The short answer to “Are root canals worth it?” is a resounding “Yes!” Over the near-term, root canal treatment gets patients out of what can be extremely distressing and disruptive pain. Over the longer term, this therapy may be the only way to save a badly decayed, cracked, or broken tooth, and helps to support a lasting, beautiful smile and healthy function. Resolving these and other symptoms with gentle and easy root canal treatment helps you avoid serious complications. Abscesses, for example, are pus-filled pockets caused by bacterial infections. They don’t go away on their own without treatment. When allowed to go untreated, the infection can spread to other parts of your head and body, a situation that requires emergency medical attention. Minimally invasive root canals to the rescue! As an MID office, Sherwood Dentistry uses conservative techniques for procedures including root canal therapy. Treatment to remove infection from root canals and the innermost parts of the tooth starts with ensuring you are comfortable and can’t feel a thing during treatment. 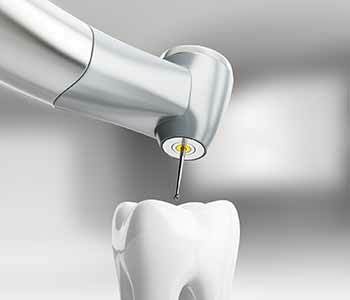 Lasers eliminate the sources of dental fear and anxiety associated with conventional dentistry, such as the sensation of shots and the sound of the drill. Dr. Gaines will access the infected part of the tooth by making a very small opening in the tooth in the middle of the biting surface. Once the inner chamber of the tooth is accessed, he’ll remove bacteria and diseased or decayed tissue. Cleaning out the tooth may be followed by a healing period, which allows the infection to clear. Afterward, the tooth is filled and sealed to prevent reinfection. A crown may be placed to rebuild lost tooth structure and restore the tooth’s appearance and strength. With all procedures, Sherwood Dentistry removes minimal natural tooth structure. Maximum natural, healthy structure is associated with the most lifelike look and feel, and long-term durability. Many patients who have had root canal treatment compare it to run-of-the-mill dental procedures, like fillings. 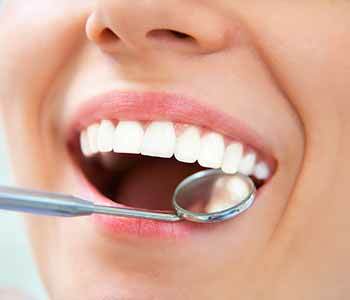 Sherwood Dentistry’s approach also offers a good value. MID practices are built on a cornerstone of preventive care. Consistent, appropriate home care and recall appointments prevent the trauma, time, and expense associated with restorative procedures to treat decay. Furthermore, insurance company Delta Dental reports tooth replacement options like dental implants cost on average at least around $ 3500-4000 more than root canal treatment. Root canal therapy is both a healthy and cost-effective alternative to extraction followed by the placement of a new tooth. With gentle care and advanced dentistry, there is no reason to wait! Get the treatment you need now. Call 844-951-8855.